Cornbury Festival have announced that Keane and The Specials will be joining The Beach Boys to headline this year's festival. Cornbury will be one of Keane’s first appearances since band members took a break at the end of 2013 to work on other projects. Festival founder Hugh Phillimore said. The Specials will top the bill on the opening day of the Festival, Friday 5 July. The legendary British Ska band have just returned to the UK Album Charts with their first new record in 38 years, and are currently on a sold-out UK tour. 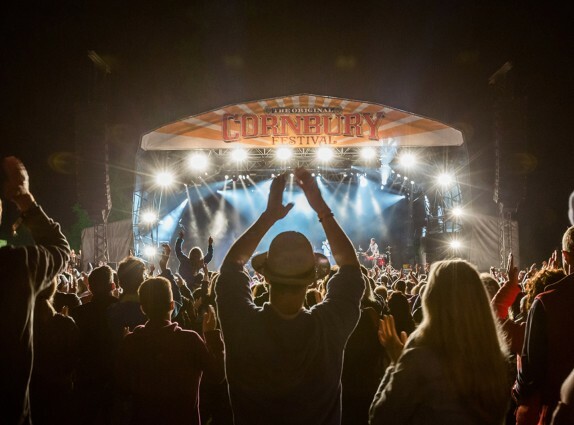 Cornbury Music Festival is a lovingly crafted, top-notch open-air party held in the stunningly beautiful Great Tew Park near Chipping Norton in the heart of the Cotswolds. It’s a unique hybrid of premium music festival and quintessentially English village fete with a rock ‘n’ roll twist, a farmer’s market with a dancefloor. There is always something for everyone over four stages, fantastic food offerings, a comedy stage, a creative kids’ zone, a traditional funfair, plus an exclusive VIP area, and beautiful campsites nestled in the estate’s rolling hills.